I don’t understand what Israel’s Ministry of Tourism wants. My licensing examination required (and rightly so) memorizing the principles of Islam and learning about the Islamic sites around the country and particularly in Jerusalem. But now the Ministry is distributing this ancient Jerusalem tourist map without Muslim sites. This is not about the absence of hundreds of small Muslim sites that you would expect to find on a map of the Old City. 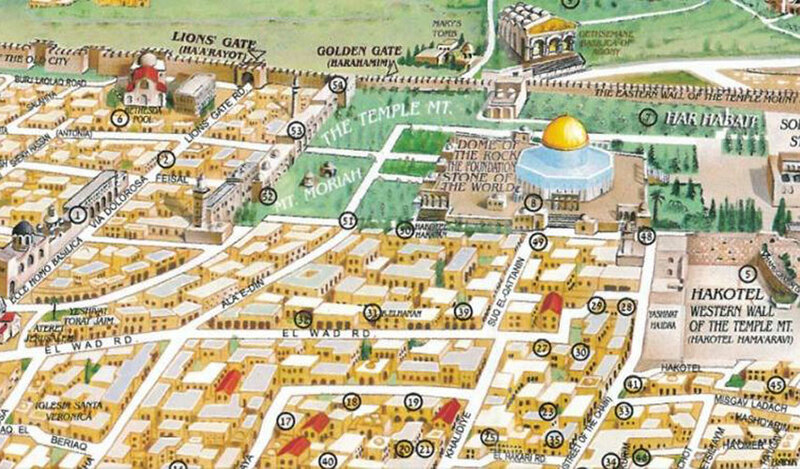 I’m speaking to the fact that Al-Aqsa Mosque is not on the map! 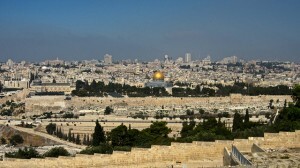 The Dome of the Rock, the foundation stone and Solomon’s Stables are there, but Al-Aqsa isn’t. You would have expected to find some Muslims sites in the Muslim Quarter [of the Old City of Jerusalem]. But there, the map shows the Israeli settler organization Ateret Cohanim’s houses and yeshivas and several churches and monasteries. Muslim sites, in the Muslim Quarter? Why would you even show them? 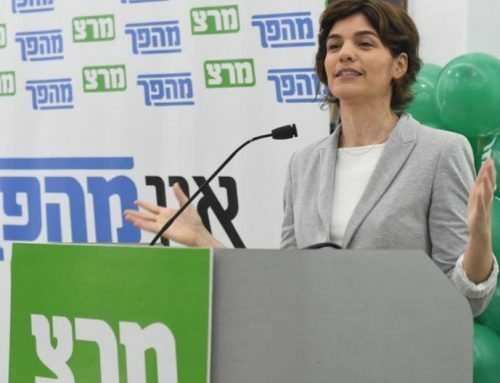 In addition to the Ministry of Tourism logo, the map includes Israel’s “rebranding” logo, a project that cost about a hundred million shekels. The idea was to convince tourists that Israel is not an insular, religious, militaristic and dark country, but rather young, cool, pluralistic and creative. Good luck with that. Oddly enough, another interesting item popped up today on my Facebook feed. It seems that the Temple Mount Faithful movement launched a Headstart fundraising campaign for their Passover sacrifice dress rehearsal. 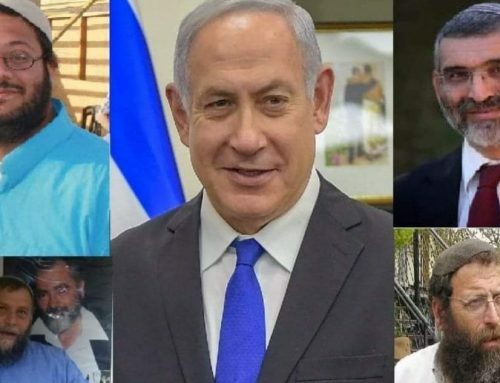 They are seeking 25,000 shekels for this annual ritual in which kohanim (members of the priestly class) perform the various stages of the sacrifice of a lamb through the roasting and eating of the lamb. The Headstart fundraiser features a video depicting a father reading the Passover Haggadah with his two sons. One of the sons asks, perplexed: “But why, dad, why don’t we perform the Passover sacrifice anymore?” The father finds the question challenging. It is clearly not because we no longer have a temple, he says. For the Temple Mount Faithfuls this annual ritual is indeed a “dress rehearsal.” It is the final full costume rehearsal shortly before the first real performance. The only thing in their way is the Al-Aqsa Mosque. Oh how they wish it could be erased from the map. WTF is the matter with these people? What are you talking about? AlAqsa is on the map! Al important islamic places are on this map! With names connected to the numbers! I am sure, you never saw this map, because you wouldn’t write such a crap. BTW, what do you think about this: http://www.minfo.ps/ar/pdf/motaguide.pdf ? Is that OK for you?